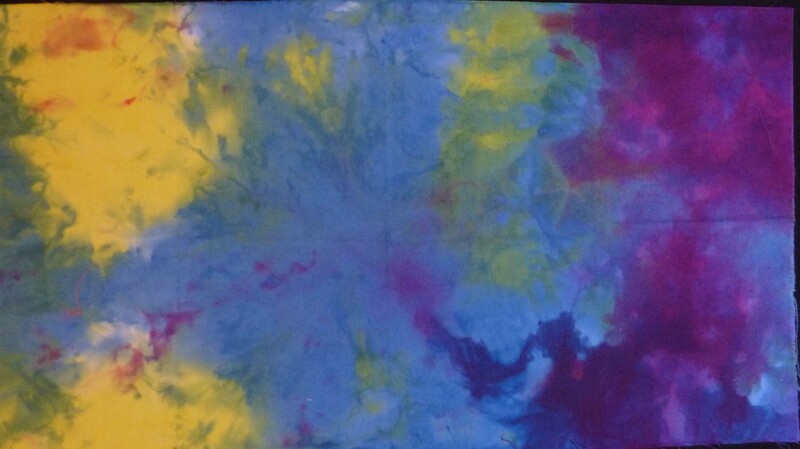 I realize that the only way that I’m going to dig into my hand dyes and actually use them will be to create some more. Now that the weather has eased up some I can move outdoors and set up there. 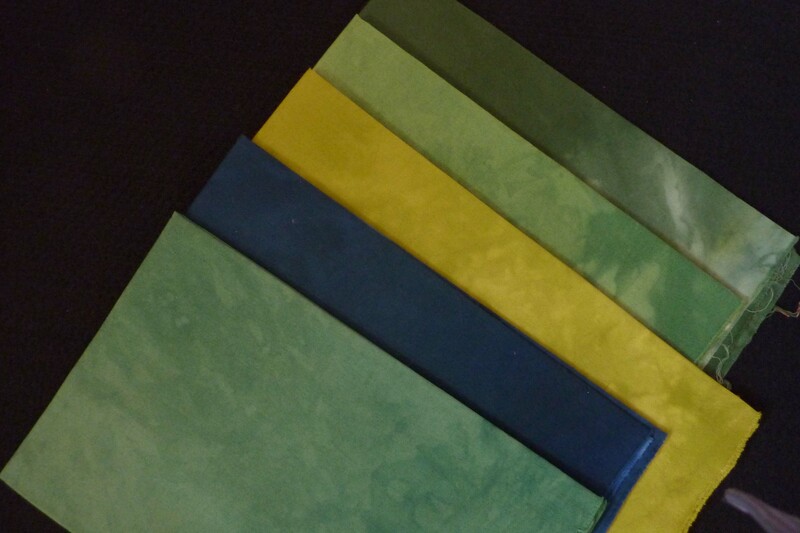 It can be done in the kitchen but gets a little (!) messy. 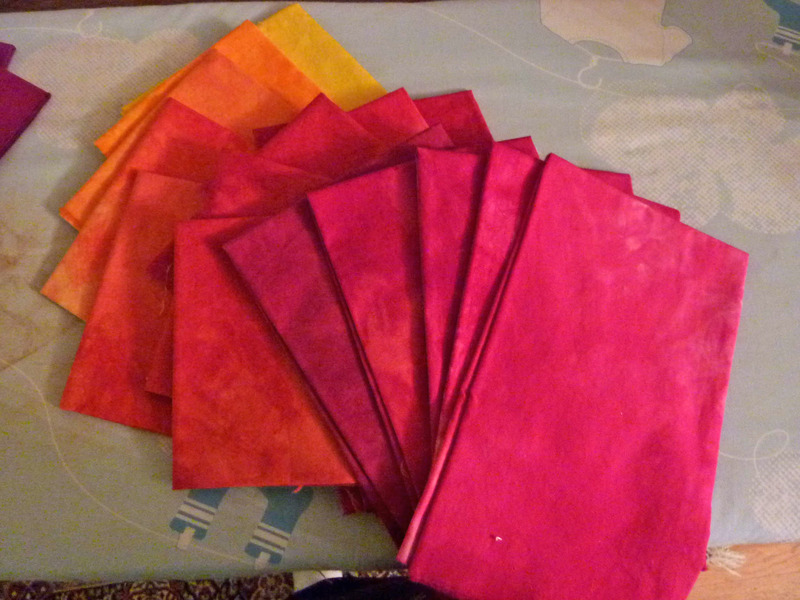 So I went through my hand dye stash to get inspiration. BUT WHAT ABOUT MY PRECIOUS GREENS???? 😦 not much left after digging into these for a project. 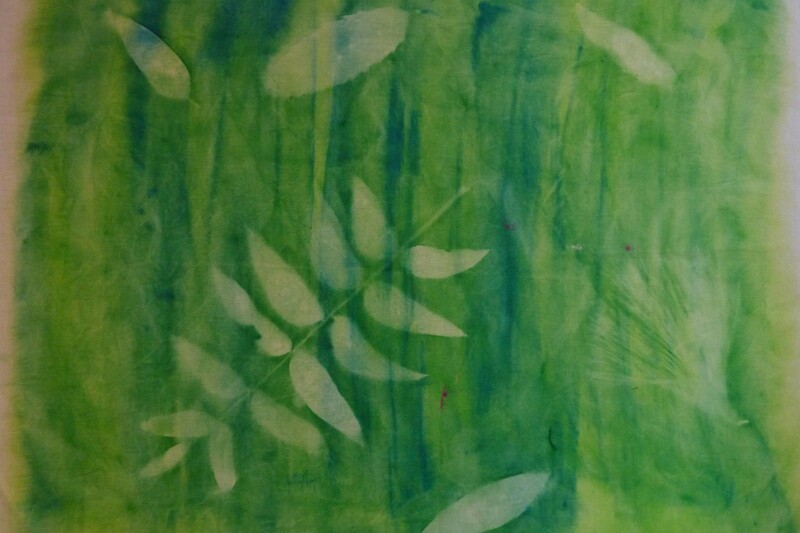 This is something a little different that I did with green – It’s a sun print – I gathered some leaves for the sun images. 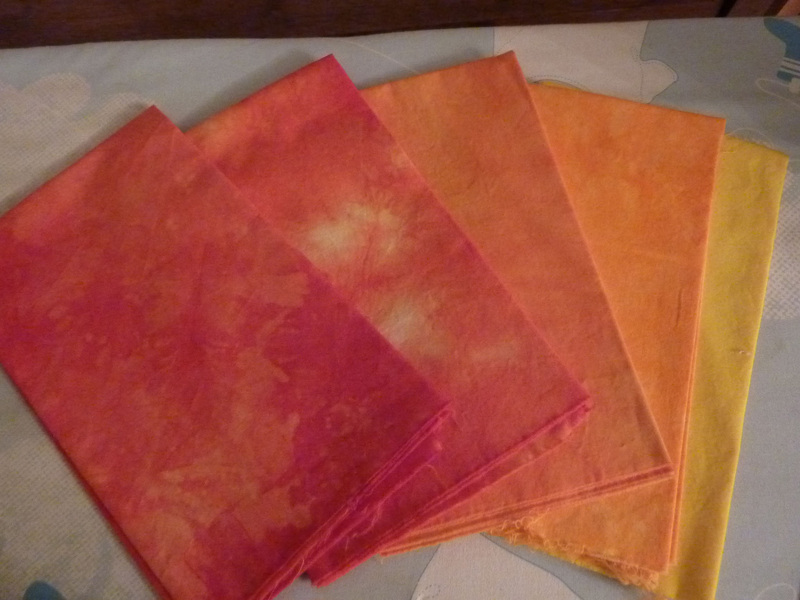 and finally a couple of “serendipity” fabrics that I created with leftover dyes. 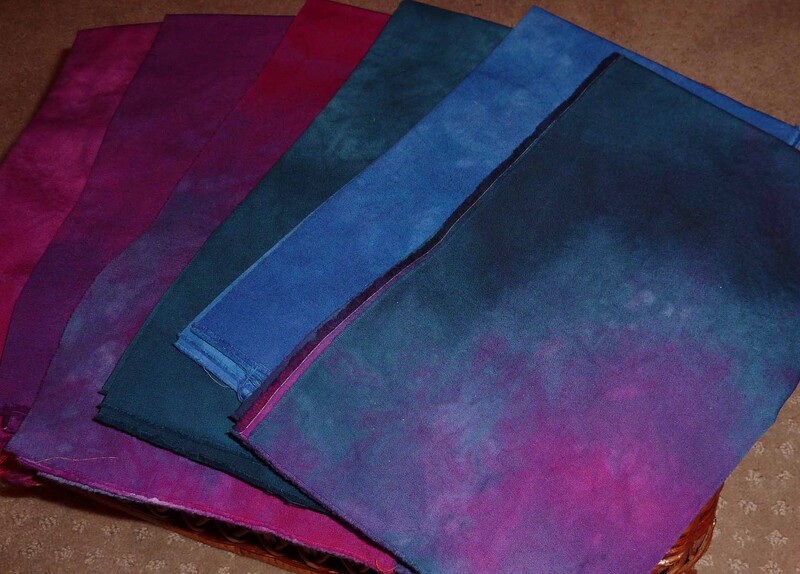 So what do you think of Hand Dyed Fabric?